PlanetJ Corporation consultants help companies solve business problems. PlanetJ will work with the members of your IT staff in a collaborative fashion to provide real time web applications that access your corporation's back-end database or ERP system to produce any type of data driven web application. Working with your staff allows mentoring and training for future needs and will allow growth of your employee skill set using real-life examples. We will help you leverage and modernize existing applications quickly and efficiently. Our professional consultants are expert Java web developers and excel in rapid Object Oriented programming leveraging our flagship, award-winning product, Web Object Wizard (WOW). While although many organizations build their own applications using WOW, PlanetJ staff is always available to assist or build your applications as needed. Hourly or fixed bid contracts are available. Using WOW will open up new opportunities for developers servicing local town, county and state governments. 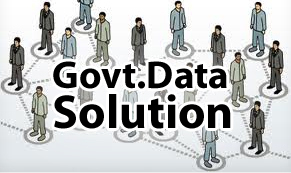 With the use of WOW, many government agencies have provided public data live online and offered great user experiences while minimizing valuable development time. PlanetJ currently offers two levels of WOW education: Introduction and Advanced. We at Planet J feel after taking these two courses, anybody can quickly become a WOW expert. Courses are offered online or onsite depending on your situation and number of participants. In addition to these courses, PlanetJ also trys to consistently educate WOW users through weekly technical tips and monthly newsletters. Both can be received by subscribing to the newsletter. WOW developers also frequently attend and speak at industry conferences such as Devcon and COMMON. These are great opportunities for one-on-one dialogue with WOW developers as well as to hear about PlanetJ's WOW roadmap. For a list of upcoming events, click the link below.